For a serial line information arrive at regular intervals (synchronous) or at random intervals (asynchronous). Between a transmitter (DTE) and a receiver (DCE) wiring is right. 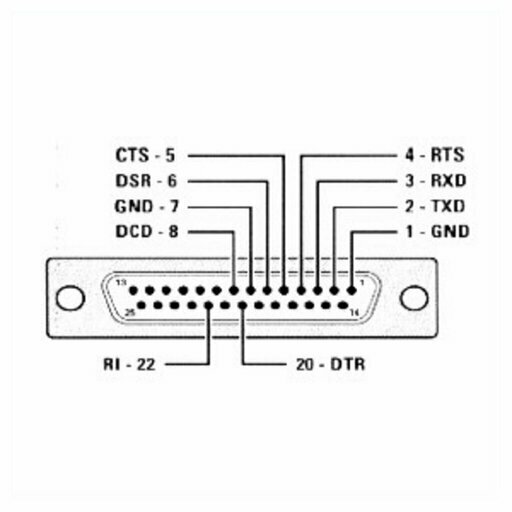 RS232 cables can be connected in series. In configurations where 2 DTE are directly connected, a cable of cross linking or \Null-Modem\ should be used. This cable has female connectors at each end. To establish communication by an RS232 cable, it is necessary to define the protocol used, in particular the tau of transmission and coding. In practice UART is the most used. • Control records : IER, LCR, MCR, DL (16-bit : + DLL DLM). • Records of States : LSR, MSR and IIR. • Data : RBR and THR. 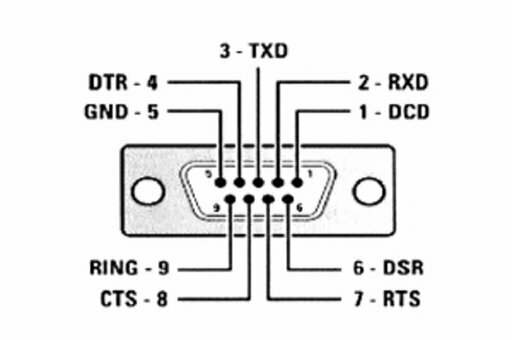 The original pinout RS232 was developed for 25-pin (sub-d). 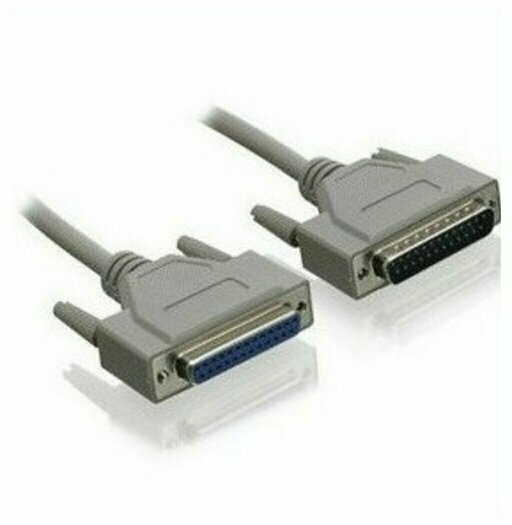 Today 9 pins RS232 connectors are commonly used. In mixed applications, a 9-to-25 converter can be used.